Through science-based engineering, research and development, and worldwide field experience Caldera develops solutions for your severe service needs. 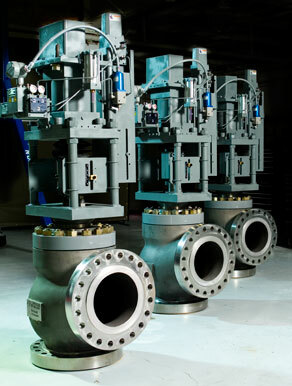 Improve availability with Caldera’s custom designed corrosion- and erosion-resistant equipment. Your plant challenge is our priority. We offer no-charge onsite visits to meet and discuss customer needs. Your expert know-how and operational insight help guide Caldera engineers in building the right solution for your specific needs. We understand downtime is expensive. Wherever you are, we’ll come to you to help solve your process challenges. Caldera's personnel travel the world to support customer needs and evaluate them first-hand. Combining over 100 years of knowledge and experience, Caldera’s engineers are experts at designing customer-specific solutions integrating high-performance ceramics, metals, and polymers.